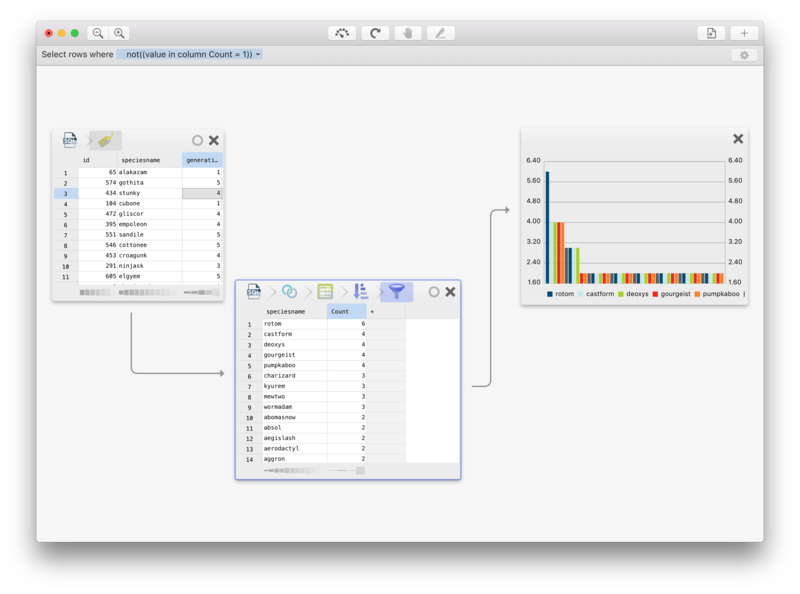 Warp for OS X allows you to convert and analyze (very) large databases with ease at the speed of light. In Warp, you work on a small subset of the data, after which Warp repeats your actions on the entire dataset. Unlike most data analysis apps, you do not have to type any codes in Warp. Effortlessly juggle around data between files and databases by simply dragging-and-dropping! Load CSV files into MySQL or transfer a PostgreSQL table to a RethinkDB table by just dragging one to the other. Efficiently analyze large datasets: Warp works closely together with databases to deliver the best performance. In order to be able to use Warp, you need to run at least OS X 10.11 (El Capitan). Warp is an app by Pixelspark. More information is available at the Warp homepage: Warp.one. Please let us know if anything is missing in this documentation.